Dr. Orloff offers private sessions with clients in person, by phone or audio Skype. She provides ongoing psychotherapy, single consultations and emotional wellness coaching. The sessions last approximately 1 hour. 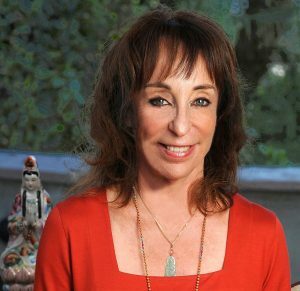 Dr. Orloff combines her traditional medical skills with intuition to help clients become clearer about particular issues and challenges they are facing. It’s best if clients prepare a few specific issues they would like to address prior to the appointment. She specializes in working with empaths, highly sensitive people, and those who are interested in developing their intuition and spirituality. In addition, Dr. Orloff provides mentoring and supervision sessions for healers and health care professionals to guide them with issues they are encountering in their own development as healers and in the treatment of their patients. To schedule an appointment with Dr. Orloff please complete the form below. If you have any questions or concerns please contact judith@judithorloff.com and cc: rhonda@judithorloff.com. Dr. Orloff does not accept insurance but we can give California residents only a receipt to submit to their insurance company for reimbursement. Note: Dr. Orloff is not able to offer any referrals other than those listed on this site at Referrals & Resources and does not offer diagnosis or treatment via email or the internet. Also Dr. Orloff doesn’t prescribe or deal with medications. Thank you! If not in United States enter N/A.